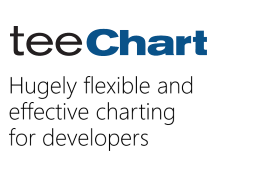 The latest version of the TeeChart.NET Standard Business Edition includes support for Microsoft’s Net Standard permitting use in a variety of Project types including Net Core 2. Demo for ASP.NET Core 2 MVC is available on Github. A fully functional evaluation version is downloadable to Visual Studio.NET as a Nuget package, please follow this link to access the download.